To describe the National Democratic Congress (NDC) as a party which has perfected the art of political subterfuge is to understate the obvious. With various options for yesterday’s bye-election at their disposal as defeat stared them in the face, the Plan B- disrupt and boycott -was quickly resorted to. Our hearts bleed for the country’s democracy when we have mischievous players like the NDC as part of the political plane. We salute the law enforcement agents for envisaging a dirty operation by the NDC and therefore deploying an overwhelming number of security personnel to deal with the stage-managed chaos by the evil ones. The coordinated actions between their online actors and those on the grounds of the bye-election said it all about a seeming rehearsed show. Someone was depicted in video dropping empty shells in a pool of a reddish substance which he, of course, sought to present as human blood. It eventually turned out that the six dead or so as they posted was nothing but part of their grand lies. It is amazing how adult politicians would stoop so low as to engage in such pranks in broad-daylight. We recall the Chereponi and Atiwa bye-elections and the attendant violence perpetrated by the then NDC in power. Let the NDC not throw dust into the eyes of the people of this country. Ghanaians do not suffer from amnesia as former President John Mahama claimed at the peak of his bad governance. NDC are masters of dirty politics and it showed even during their press conference. Displaying an AK 47 and some rounds of ammunition as being evidence of violence which rocked the bye-election is just unbecoming of a party which seeks the mandate of the people of this country to rule. Political liars who would do anything to win power do not deserve to be listened to let alone voted for. When would the NDC for once speak the truth and be free? When an Hon MP tells the world that people have died as a result of violence orchestrated by his party when there was no fatality, the reason for the bad governance foisted on Ghanaians becomes too evident. We have had enough of the nonsense from the leadership of the NDC who continues to take Ghanaians for a ride. Even when they were busy announcing a boycott amidst the commotion created by their supporters, the voting process was ongoing and their officers in the constituency were encouraging their members to go out and vote. What nonsense! The results as posted represented the true picture of the voting which took place yesterday with the NDC fully participating. 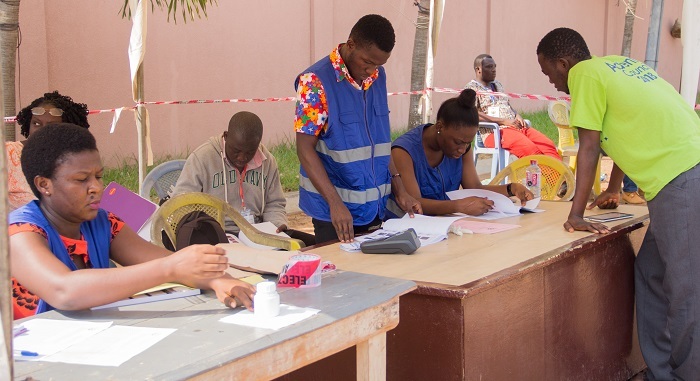 Bravo, the EC has organised another successful electoral exercise. Democracy has moved on from the days when Anita De Souza, then NDC Women’s Organiser, inflicted injuries on NPP supporters during a bye-election and the case was not even reported to the police by her driver let alone an investigation undertaken. A party which has never organised a violent-free bye-election has no business calling the NPP violent. The memories of Chereponi and Talensi bye-elections are still fresh in our memories.